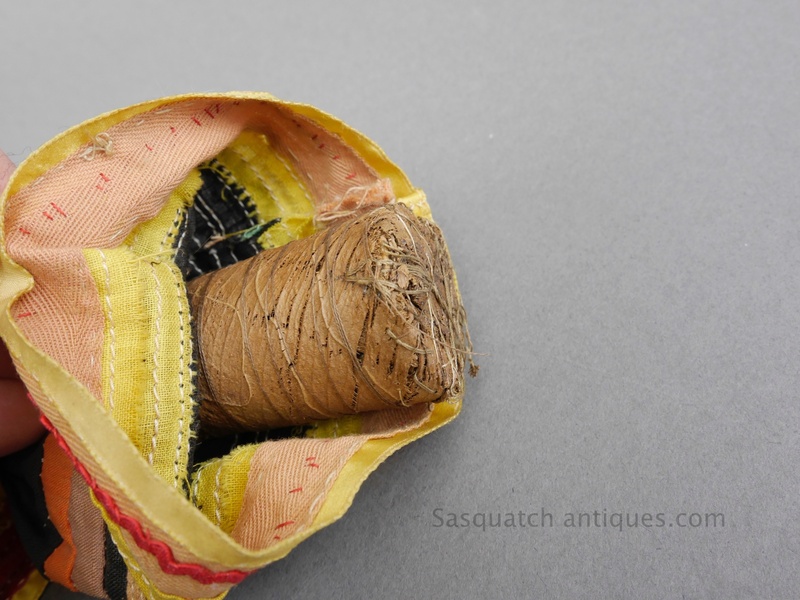 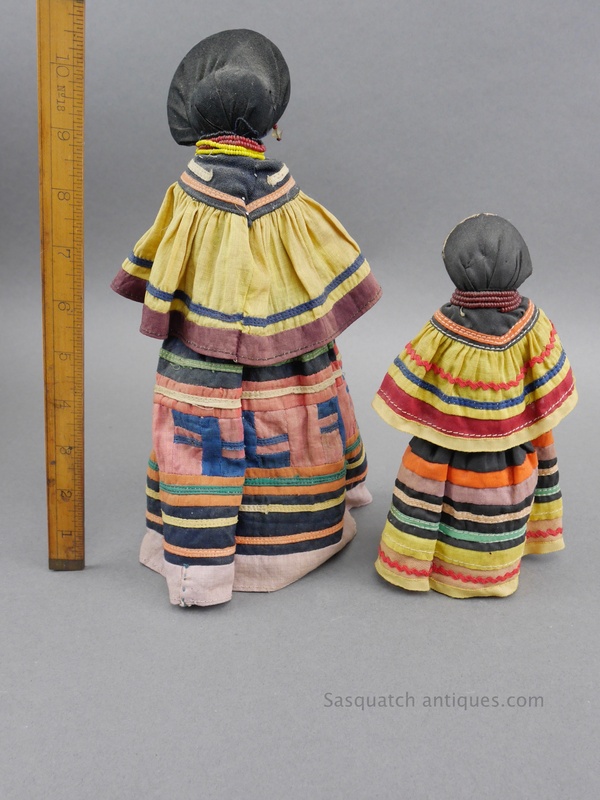 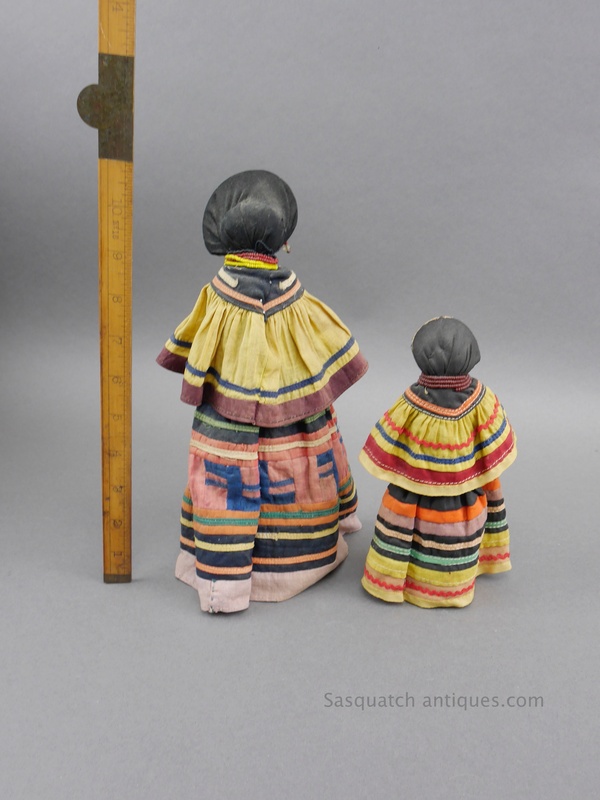 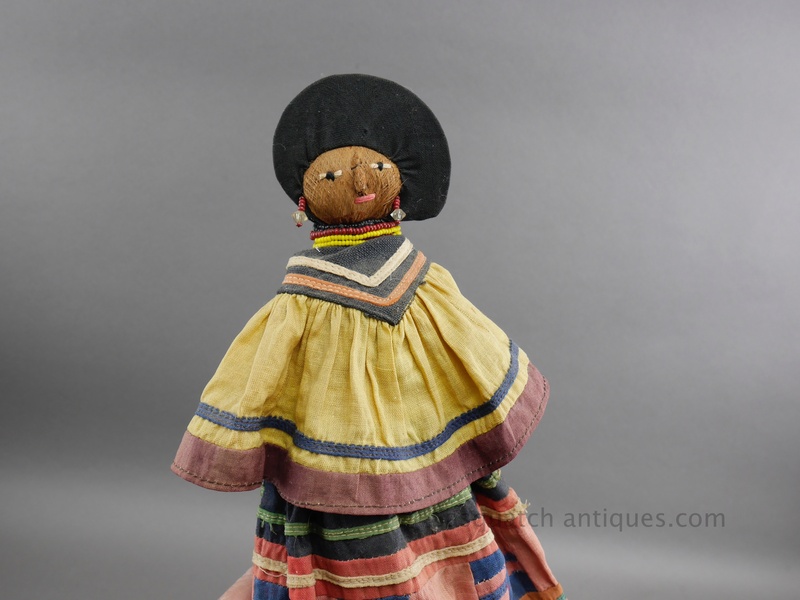 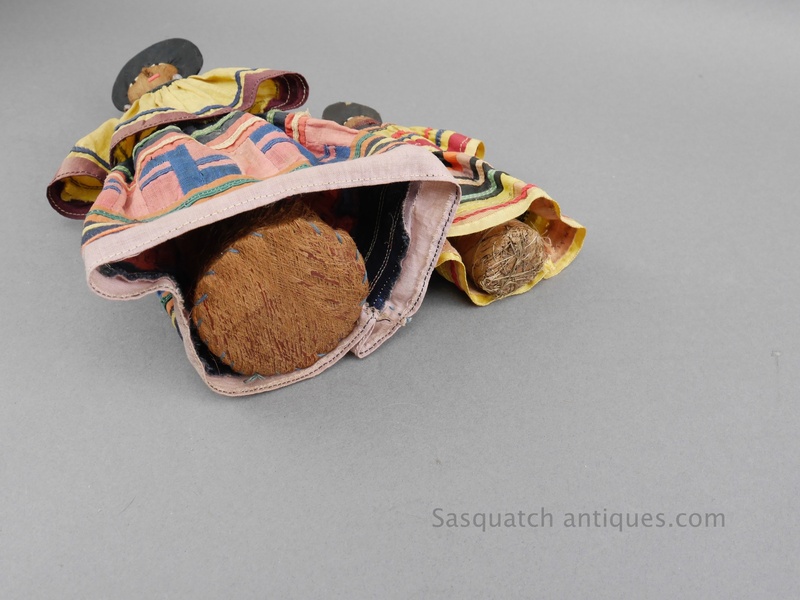 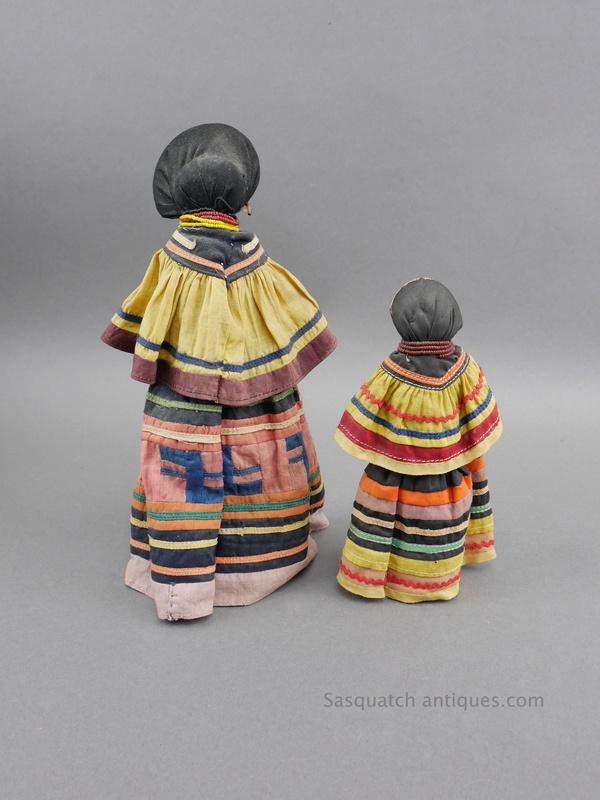 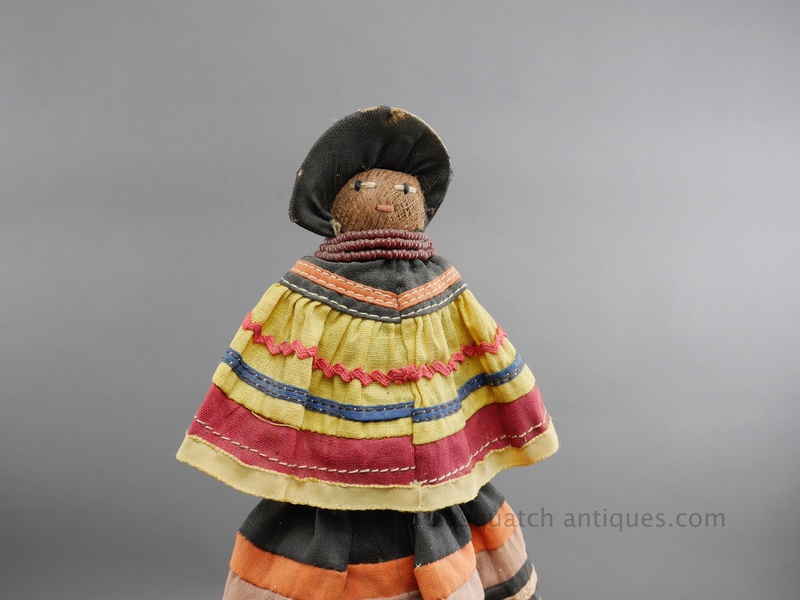 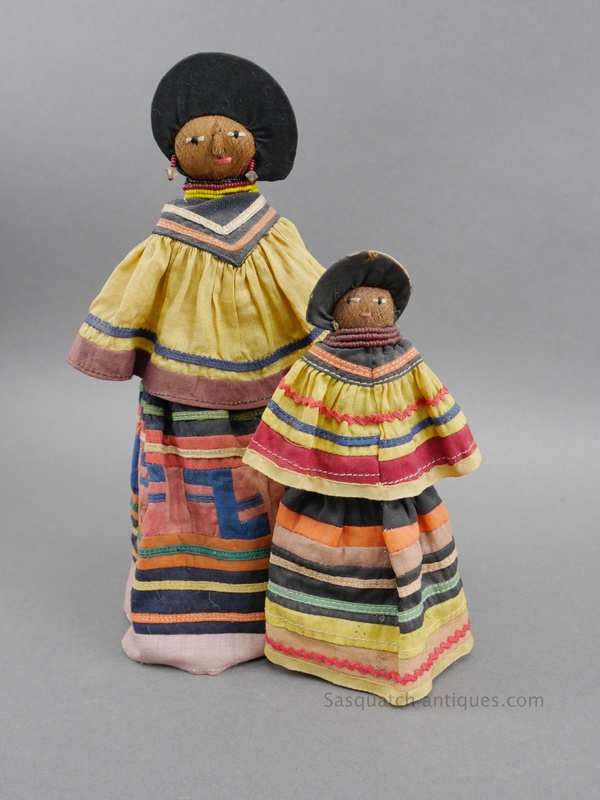 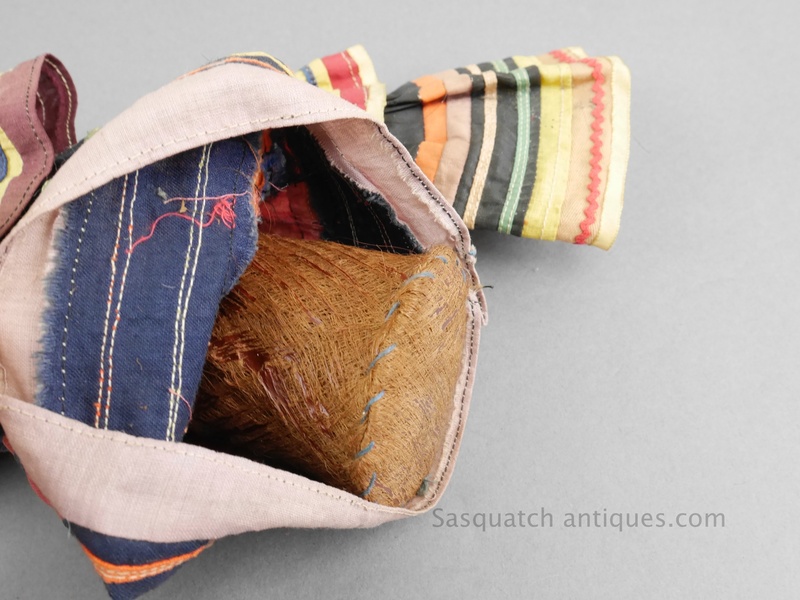 Lot of two mother and daughter vintage 30's - 40's Seminole Indian dolls. 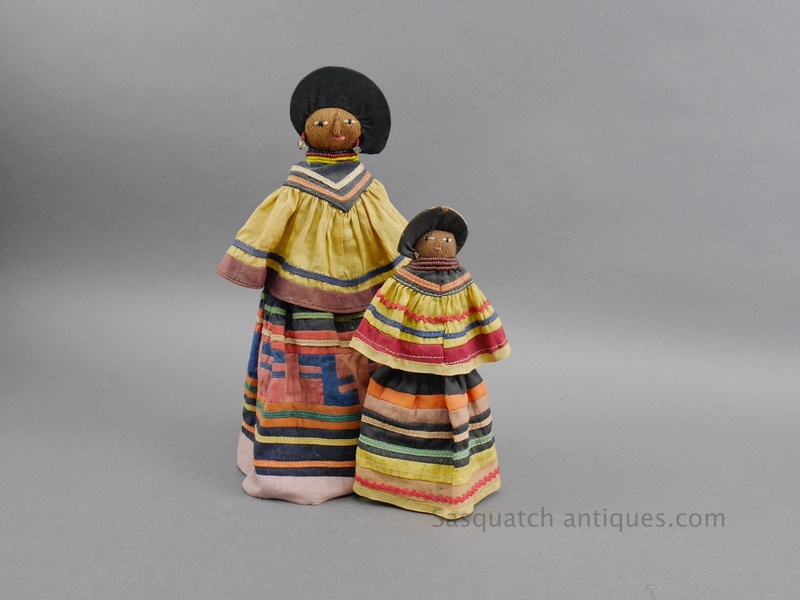 Patch work dresses palmetto fiber bodies with glass beaded necklaces and earrings. 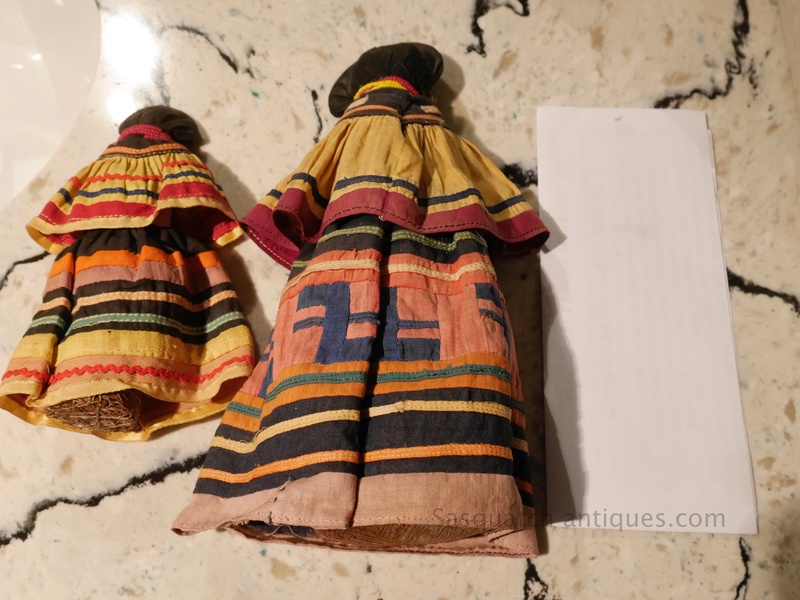 Both dresses are in good condition as are the Palmetto fiber bodies. 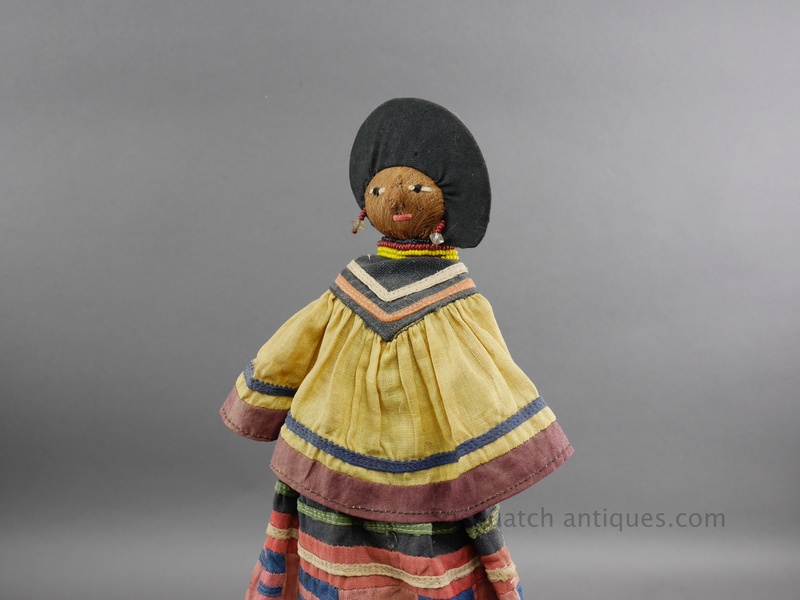 There is on spot of abrasion on the "daughter" doll at the hat brim. 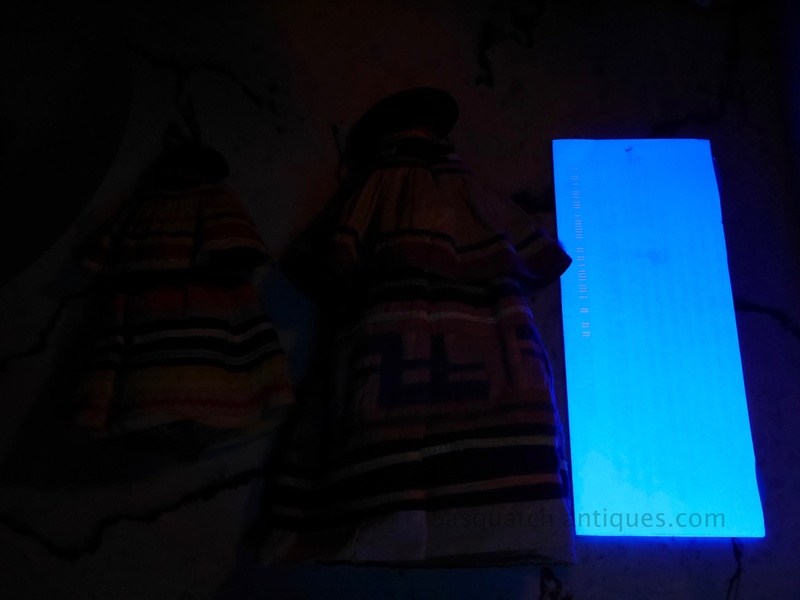 Please see photos under UV light, the dyes do not fluoresce.